Challenges can bring people closer to God or can shut Him out. I have been consumed by my divorce and family situation that I just realized it’s been quite some time since I connected with you, Grace. Thanksgiving was a time to be grateful for our blessings and I thought of you. Even in the midst of all the changes I need to acknowledge your presence in my life, still and quiet, waiting to be called upon. Thank you. Now with Christmas just around the corner, again, I am consumed with the preparations of family get-togethers, creating traditions, and the boys’ gifts. Reflections are certainly a part of this season too. I’m reminding the boys of the true meaning of Christmas, thinking of the struggles that Mary and Joseph encountered on their journey to give birth to Jesus. Yet these challenges and struggles we face can yield positive outcomes, ones that we could’ve never conceived of on our own. Only God knows why things happen, and it is during these times that we must have faith. Divorce has brought peace, freedom, and a newfound identity. 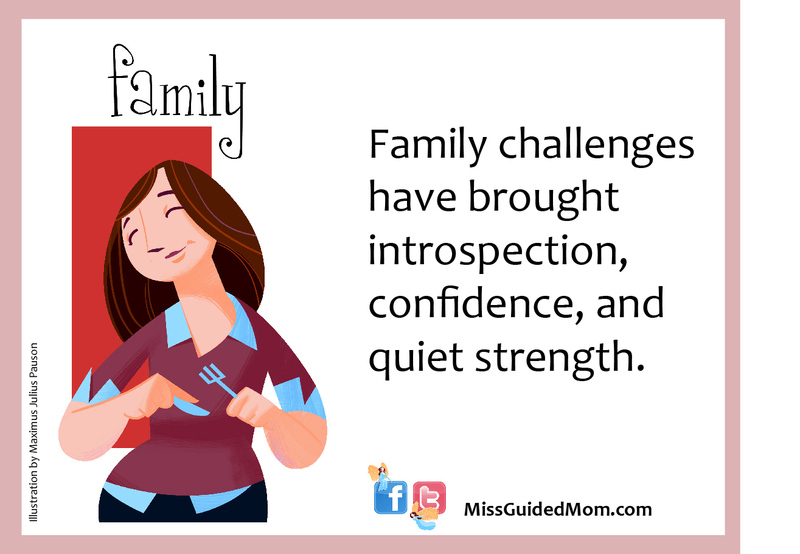 Family challenges have brought introspection, confidence, and quiet strength. Whatever the reasons are, I am grateful for what I have gone through. I am a better person, a courageous mom, and confident woman. Welcome home! So glad to have you back, reconnecting to who you truly are. I have been waiting with open arms. Never abandoning you and always right here. You don’t have to look too far. All you have to do is close your eyes and there I am in the stillness and silent place within you. I’m glad you trust that no matter how long you stay away, I never give up but am patiently waiting while offering you love. Now through this lens, where you see yourself as precious before God, as Mary and Joseph did, wonderful things can happen. The challenges and difficult situations do not have the power to penetrate your being. This happens through God’s grace and faithfulness to your journey, which is similar to the journey that Mary and Joseph took in preparing for the birth of Jesus, the Light, in a world filled with darkness. Many are so surprised that in the toughest times the greatest transformations occur. It is evident by the woman you are becoming . . . confident, strong, and courageous. This is because God always knew that this is who you are. The external challenges allowed these parts of you to come to life since you had to use a new muscle that through the training of life became stronger. It is similar to the Nelson Mandela’s story. He did not give into the seduction that his situation defined who he was. Even though he was in prison and was cast into darkness, he didn’t use his muscle to fight it. Instead, he became a true free man by exercising his muscles of hope, peace, and forgiveness before he was released from prison. By doing this, day in and day out without any hope of what we call freedom, God showed him true freedom and true light in a dark, prison cell. This is what God’s grace can do. Another example is Mother Theresa who didn’t drown in the suffering she was immersed in every day. Instead, she loved until it hurt and eventually the only thing left was love. 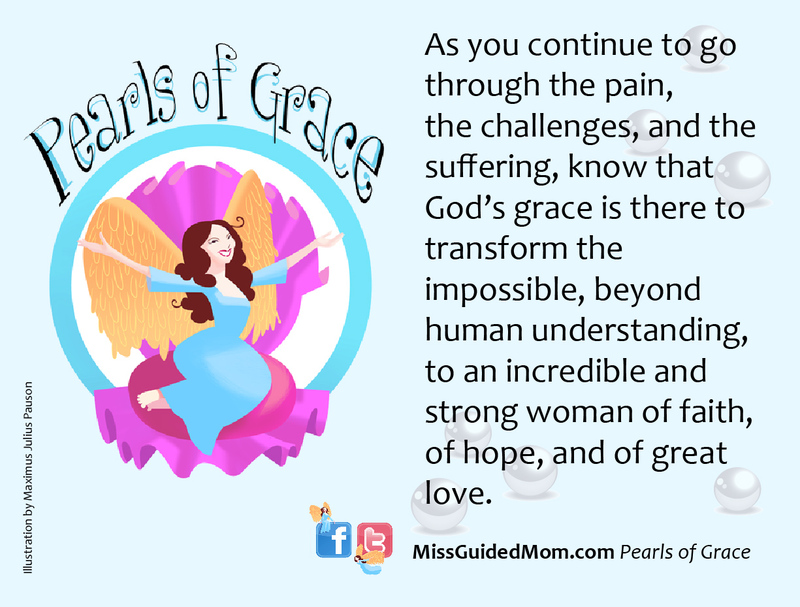 So as you continue to go through the pain, the challenges, and the suffering, know that God’s grace is there to transform the impossible, beyond human understanding, to an incredible and strong woman of faith, of hope, and of great love. 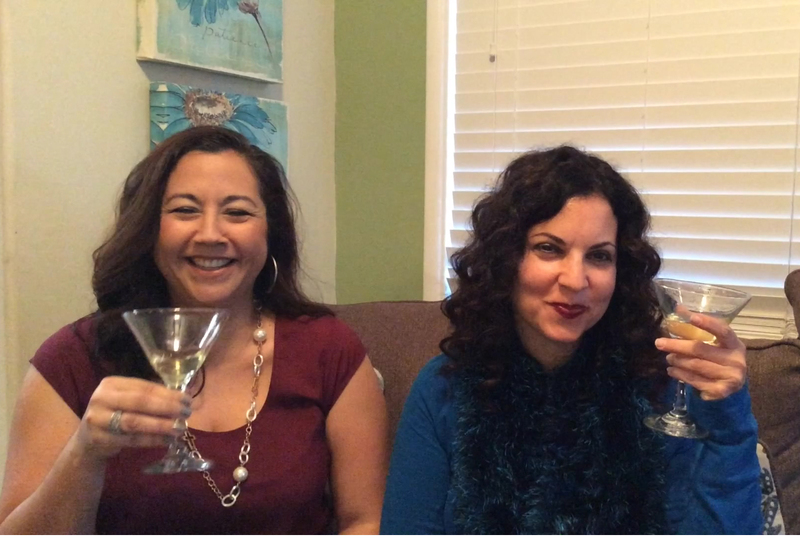 Now let’s enjoy a glass of wine, symbolic of joy! Few things feel better than coming out the other side of something and knowing you’re a better person for it. Congratulations!